An onboard solar panel keeps the battery topped off, but you can’t use this smart lock with any smart home hub. The newest iPhones support built-in wireless charging, so that means Lightning cables are no longer a must-have accessory, right? Wrong! Even if you fully embrace the wireless charging life (see our roundup of the best wireless chargers for iPhone), you’ll still find yourself in plenty of situations where balancing your phone on a wireless charging mat just isn’t feasible. It’s hard to wirelessly charge a phone without a still, flat surface, so when you’re traveling, commuting, or just trying to use your phone while it charges, you’ll still need a Lightning cable. If you’ve forgotten that Apple still sells a smart speaker, you’re not alone. At last count, HomePod was struggling to capture even a sliver of the smart speaker market share, and it barely garnered a mention at Apple’s latest event. But Apple is hoping to reverse that trend with an uncharacteristic move: a price cut. On Thursday, Apple quietly lowered the price of HomePod to $299, a $50 discount over the previous price. Apple isn’t promoting the price cut as a limited-time deal, so it seems like the 17 percent discount is permanent. That makes HomePod’s price a bit more palatable, but it’s still more expensive that nearly every other smart speaker including the Alexa-powered Sonos One, which sells for $199. If you use Time Machine, you know that macOS asks you whenever you mount a new external drive whether or not you want to use it as another Time Machine destination. One of the backup service’s best features is that it can create archives on multiple volumes at once, and remembers backup volumes when they’re removed, so you can rotate through disks and keep one or more offsite. However, you might mount a drive and want to use it with Time Machine and be unable to select it. That’s typically because the volume isn’t formatted using the old standby, HFS+, labeled “Mac OS Extended (Journaled)” in Disk Utility. Time Machine can only create backup archives on HFS+ volumes because of some of the peculiar properties of how it creates snapshots by referencing files with hard links. These links allow the same file to appear as if it’s in multiple places on a single volume, even though only a single copy of it occupies space on the disk. Late in March, Apple announced four new services: subscription news, TV, and games, along with an Apple credit card. Of these, only one actually released: Apple News+, an enhanced version of the Texture magazine subscription service the company bought last year. Apple’s new iPad Pros are high-end tablet marvels, with a new slim-bezel design, Face ID, crazy-fast A12X chip, and new wireless Apple Pencil. But when Apple introduced the overhauled third-generation models, it also blew up the price. The old 10.5-inch Pro was $649 and the new 11-inch replacement is $799, while the 12.9-inch model jumped from $799 to $999. That leaves a big price gap for anyone who doesn’t want an iPad Pro, but wants more than the basic $329 iPad. Apple is filling that gap with a strange middle-child product that borrows the design of the old 10.5-inch iPad Pro, the name of the retired-for-years iPad Air, and an odd mix of hardware features. Tired of Netflix losing your favorite shows? They probably wound up at Hulu. After a flurry of leaks and an unmistakable billboard in California, Apple has officially unveiled the new Powerbeats Pro, which brings an all-new design that eliminates the neck cord and adds a wireless charging case to the popular Powerbeats 3 Wireless earphones. Following the second-generation AirPods release, the Powerbeats Pro has all of the same features that Apple offers with its own true wireless earbuds, including hands-free "Hey Siri" support, sensors that pause the music when one of the Powerbeats Pro earphones is removed from your ear, and the new H1 chip for faster syncing and switching between devices. As one of the biggest names in fitness trackers, Fitbit is an easy pick for recording your daily steps or sleep patterns. Selecting the best Fitbit model for your needs, however, isn’t quite as simple. That’s where we come in. We’ve boiled down the options into three simple picks that should match most people’s activity levels and styles. 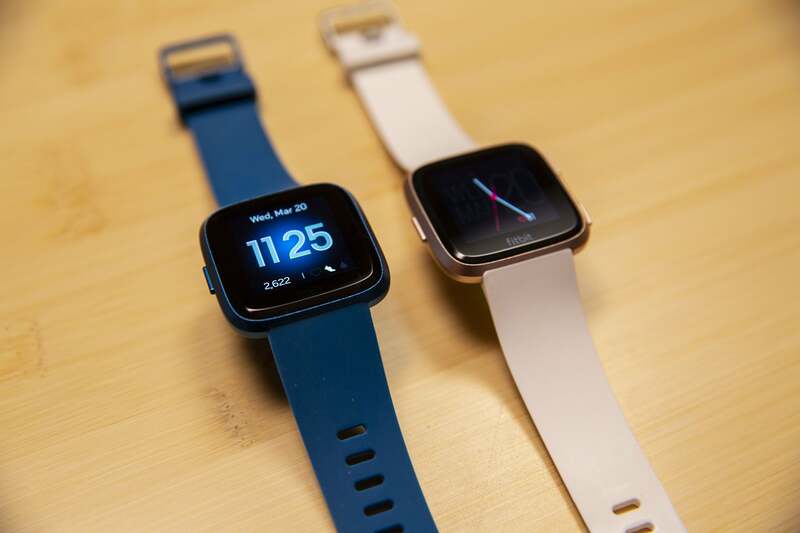 If not for the new blueberry and mulberry colors, it’s nearly impossible to tell the $160 Fitbit Versa Lite apart from the $200 Fitbit Versa. They both have the same square aluminum frame. They both sport a 1.34-inch color display. And any of the original Vera bands work just fine with the Versa Lite. It’s hard to see the difference between the Fitbit Versa (right) and Versa Lite, despite the $40 price difference. I love many things about Apple News+. It has me reading issues of National Geographic more thoroughly than I’ve read them in years. It’s brimming with great magazine content, and I like knowing that I’ll have something to read on a plane without spending ages browsing through a newsstand. It’s even fun to read articles on Apple News+, as they sometimes boast a flair for presentation that you normally don’t find on the “normal” web. But there’s a lot that could be better. Apple News+ still feels a bit half-baked, as it’s missing what strikes me as some fairly obvious features. For that matter, many of the magazines aren’t properly formatted. I’ve been using the service every day for a week now, and below I’ve narrowed down the service’s weakest points. Streaming offers instant gratification, but only a high-end Blu-ray player like this can reveal just incredible your 4K TV can look. High-end iMac or iMac Pro? Ever since the iMac Pro was released in 2017, that’s been a key question for pro-level Mac users who aren’t sure if taking the perilous leap from the summit of the iMac product line across to the $4,999 (and up) iMac Pro was worth the financial risk. With the 2019 updates to the iMac line, the gap between the two products has narrowed even more, making the question that much harder to answer. I’ve been using a base-model iMac Pro as my primary computer since it shipped, and last week Apple sent me a high-end 2019 iMac, so as I write this I am literally sitting in that iMac Pro gap. (It’s comfy here, thanks for asking.) The 5K iMac is equipped with the 3.6GHz 8-core ninth-generation Core i9 processor, 16GB of RAM, a Radeon Pro Vega 48 GPU, and 512GB of SSD storage—a configuration you can buy today on Apple’s website for $3,449—a savings of $1,550 from the price of the base-model iMac Pro. You can buy this modern doorbell cam for the same price as the comparatively ancient original Ring, but should you? Apple on Tuesday released an update to its Clips app for the iPhone and iPad. Clips is designed to let users create short videos, slideshows, and school projects that can be shared through Messages on iOS or on social media. Version 2.0.6 is now available in the App Store. According to Apple’s release notes, these are the new features. Apple Clips 2.0.6 includes eight new posters. If you already have Clips installed, you can install the update by launching the App Store app, and then tap on Updates at the bottom of the screen. Give the app a moment to check for new updates; you can swipe down on the Updates screen to check the server. Once Clips appear in the list, tap the Update button and the update process will begin. Verizon is selling a new Just Kids plan that limits data and contacts to "make it easier for families to call a technology truce." If you believe that I have a bridge to sell you. After making us wonder for a year and a half, Apple finally pulled the plug (power puns!) on the AirPower mat. Possibly to avoid a fire. This situation is already so bad, a legitimate embarrassment for the company, why would anyone have to exaggerate to try to make it worse? Because it’s Apple, that’s why!